100 years ago, Finland took advantage of the chaotic Bolshevik takeover of Petrograd to declare its independence from Russia, who was its master since annexing the territory from Sweden over a century prior in 1809. The new country overcame a tumultuous political period following their declaration of independence. In just one year there was civil war that killed 36,600 Finnish people, a staggering portion of the 3.1 million population at the time. Finland briefly became a monarchy for a couple of months, then, after their new German prince was defeated in World War I, it become a republic that was finally recognized by the U.S. and Britain. Every year, the Finnish people revel in their autonomy on the signing date, December 6th, but there are multiple dates throughout 2017 designated by the government for celebration. 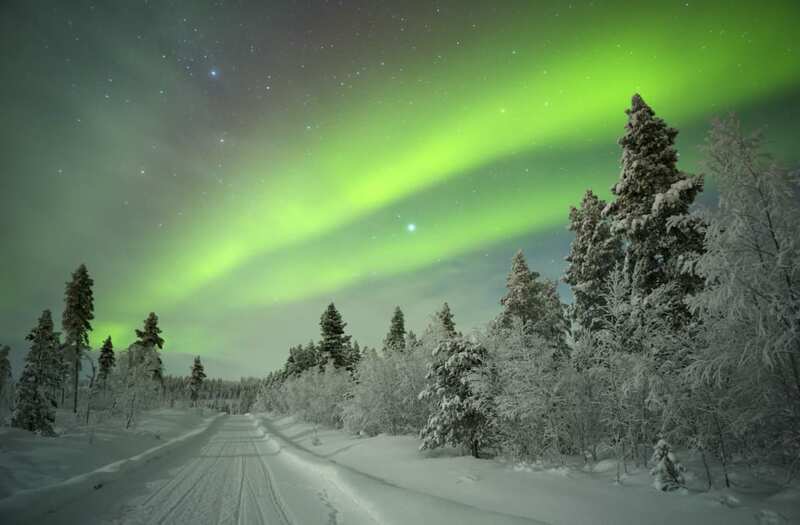 Riisitunturi National Park is a national park in Posio, Finnish Lapland. It was established in 1982 and covers 77 square kilometers (30 sq mi). The park is on a mountainous area, and there are also many swamps, especially hillside swamps. A husky sleigh ride in Finland, Nellim, on a frozen lake. Embankment In Helsinki At Summer Evening, Finland. Uspenski Cathedral. Stunning sun rays shining through trees in a foggy forest. Vanajaveden laakso. Aulanko, H?meenlinna, Finland. A unicorn reindeer walking early in an autumn morning near Saariselk?, northern Finland. Rovaniemi, Santa Claus Village, Finland. Kobba Klintar, an old pilot station in Aland archipelago with cafe and museum. Here cruise ships and big ferries often pass by. Picture taken at summer on ï¿½and islands. ï¿½and is a region of Finland that consists of an archipelago lying at the entrance to the Gulf of Bothnia in the Baltic Sea. The Savinajoki River in Lapland Finland. A barn in a field with fireweed, in Riisitunturi National Park (Finnish: Riisitunturin kansallispuisto) is a national park in Posio, Finnish Lapland. The iconic domes and portico of Helsinki Cathedral illuminated at dusk overlooking the 1863 statue of Alexander II and Senate Square in the heart of Finland's picturesque capital city. Porvoo, Finland - October 18, 2015: People walk on the street in Old Town with small shops and cafes. Porvoo is one of the six medieval towns in Finland, first mentioned as a city in texts from 14th century. Starting in January, the Lux Helsinki lights festival lit up the capital during the darkest days of the year. Finland will celebrate its musical side in June with the 'Everyone Sing' concert, when the Helsinki Philharmonic Orchestra will play sing-a-long songs broadcast across the country. The 'Let's Eat Together' event in August will bring Finns together to celebrate their unique culinary culture with hundreds of dining activities at parks, restaurants, schools and more -- Finland is already calling it the world's largest village festival. If these events feel a bit too 'It's a Small World' for you, then you are not alone. A survey found that nine out of ten people in Finland just want to celebrate nature during the 100th anniversary year. Events like identifying wildflowers, sleeping in homemade lean-tos and learning to cross country ski are set up to help Finnish people and visitors take advantage of their world-class nation parks. The crowning moment for outdoor enthusiasts will take place on June 17 when the country's 40th national park, Hossa, will be inaugurated. Click through the gallery above to see 25 beautiful photos of Finland -- and put the Nordic nation on the top of your 2017 travel short list.